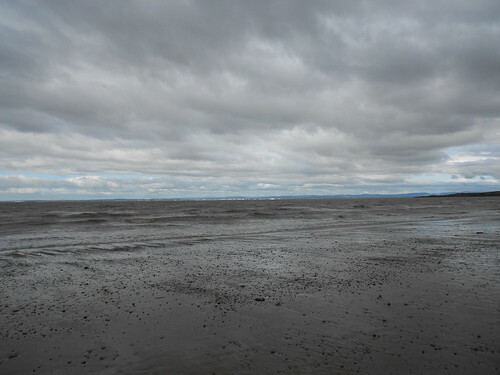 We had a relatively free day on Saturday, so decided to head out to the beach at Sand Bay near Weston-super-Mare. It was a bit of a grizzly day, but the grey clouds and grey sea made for a very atmospheric view across the Bristol Channel to Wales. I was feeling quite energetic, so Molly and I did a bit of racing up and down the beach, while Natalie looked on in bemusement. 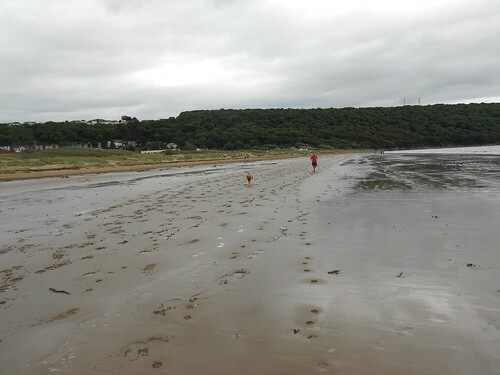 Sand Bay is a very dog-friendly beach and possibly one of Molly’s favourite places. And I’d have to admit a certain fondness for it, too. 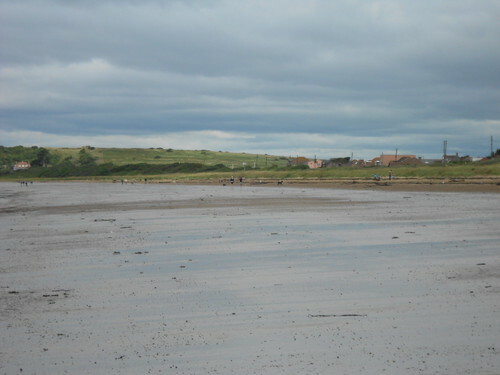 As we were wandering back up the beach, I noticed that quite a few other people had had the same idea as us. Stretched out along the mile or so of sand were several small groups of people – and dogs. Little tribes, much like our own, making the most of this grey day by the sea. This entry was posted in Dogs, Family and tagged Beach, Dogs, Family, Molly, Photography, Walking by Simon Perks. Bookmark the permalink.